The Oblong Coffee Table by Berlin Gardens is a prime example of their commitment to forward-thinking manufacturing processes that remain in harmony with the laws of nature. 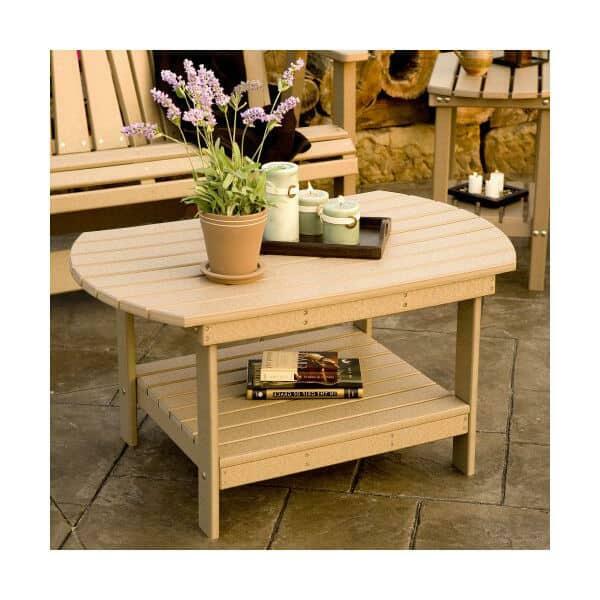 Berlin Garden's patio furniture is made of HDPE, recycled plastic fashioned into poly lumber. Poly lumber material is resistant to the elements; it won't fade, rot, or splinter, as well as being better for the environment. The Oblong Coffee Table is an ideal match for all of Berlin Garden's furniture line; it will also complement your existing decor. Available in over 20 colors, the Oblong Coffee table comes with a 20 year warranty.